Rheumatoid arthritis – which affects more than 400,000 people in the UK and about 1% of the world’s population – is a complicated disease: lifestyle and environmental factors, such as smoking, diet, pregnancy and infection are thought to play a role, but it is also known that a person’s genetic makeup influences their susceptibility to the condition. Scientists at the Arthritis Research UK Epidemiology Unit at The University of Manchester have discovered 14 new genes that can lead to rheumatoid arthritis, adding to the 32 other genes they had already identified; the team believes it has now discovered the vast majority of disease-causing genes for the condition. The Manchester researchers’ latest study, published in the journal Nature Genetics, has identified genes specific to the female X-chromosome – which could explain why three times more women than men present with the disease. First author Dr Stephen Eyre said: “This work will have a great impact on the clinical treatment of arthritis; we have already found three genes that are targets for drugs, leaving a further 43 genes with the potential for drug development, helping the third of patients who fail to respond well to current medications. The Manchester team used advanced technology and a large collection of international samples to identify the new genes and move a step closer to being able to improve the lives of rheumatoid arthritis sufferers. 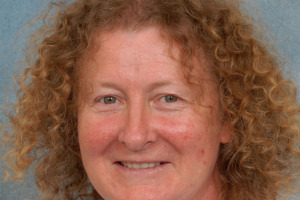 Professor Jane Worthington, study lead based at the NIHR Manchester Musculoskeletal Biomedical Research Unit, said: “This groundbreaking study brought together scientists from around the world and involved the use of DNA samples from more than 27,000 patients with rheumatoid arthritis and healthy controls. As a result of our findings, we now know that genetic variations at over 45 regions of the genome determine susceptibility to this form of arthritis. Professor Alan Silman, medical director of Arthritis Research UK, said: “This large genetics study has added a significant amount to the current knowledge of the genetic basis of rheumatoid arthritis. We hope that this research will lead to a greater understanding of the disease and allow us to develop targeted drug treatments for the half-a-million people currently living with rheumatoid arthritis. A copy of the paper, ‘High-density genetic mapping identifies new susceptibility loci for rheumatoid arthritis,’ published in Nature Genetics, is available on request. Arthritis Research UK is the leading authority on arthritis in the UK, conducting scientific and medical research into all types of arthritis and related musculoskeletal conditions. It is the UK’s fourth largest medical research charity and the only charity solely committed to funding high quality research into the cause, treatment and cure of arthritis.